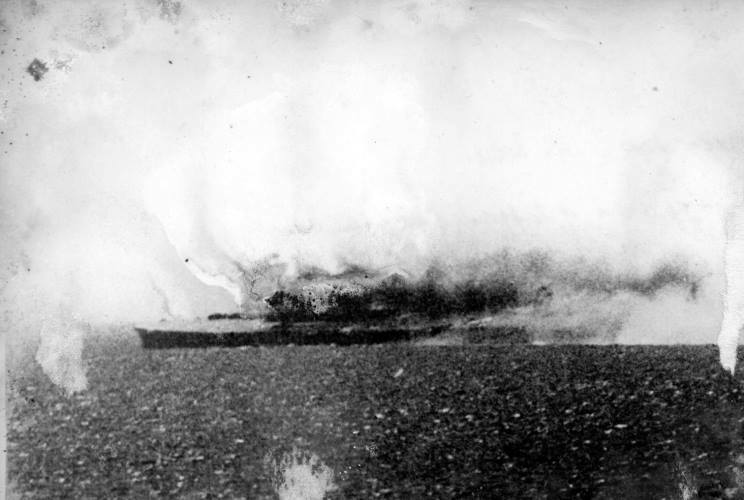 August 11, 1942: HMS Eagle seen burning after being hit by torpedos from U-73. 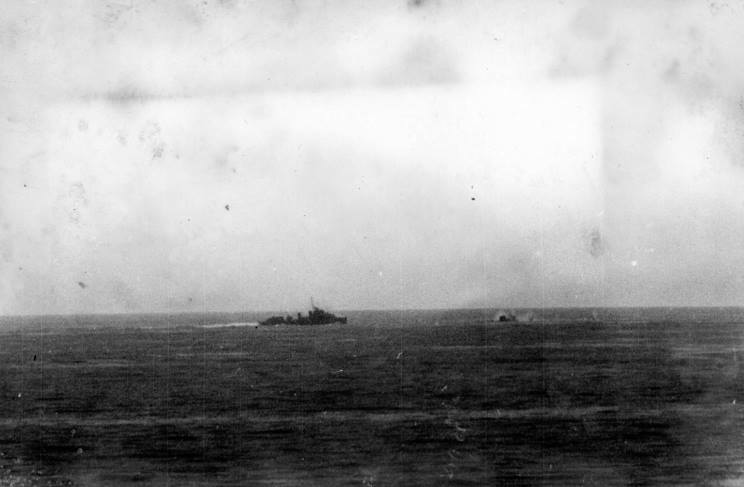 August 11, 1942: The final moments, HMS Eagle has rolled on to her side. 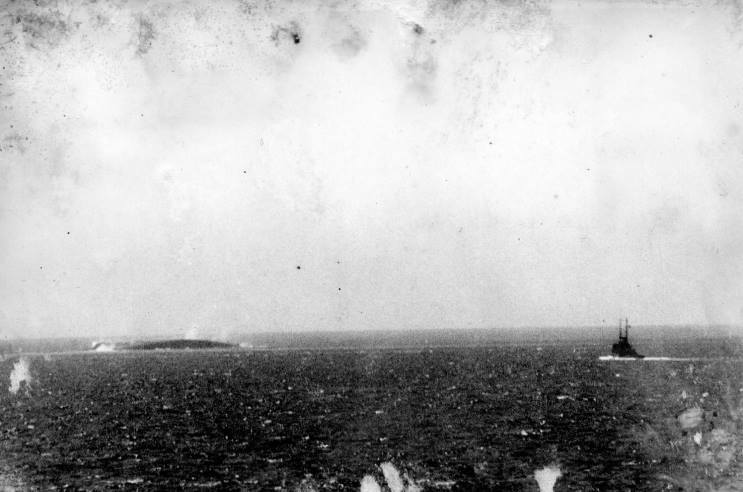 August 11, 1942: HMS Eagle's final second.